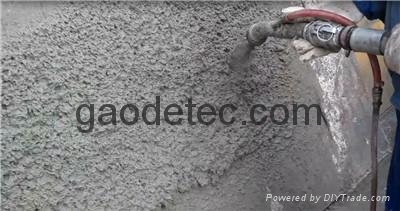 We offer mortar sprayers for pumping and spraying mortar and cement mixtures. Unique, easy to operate, powerful, low feeding height, hopper special, make it very practical, easy to use. There are two different specifications of the model, one is the power, the other is diesel power. The mortar pump machine is well received by the fluency of the operation. These machines can be customized according to customer specifications. To ensure excellent performance and economic operating costs. This quick mortar cement sprayer is widely used in indoor and outdoor ceiling roof coating, joint leakage, settlement joint leakage, underground tunnel leakage leakage, mine plugging, anti-blocking works, dam leakage plugging, floor, cracks, hollow reinforcement , Cement mortar spraying, mortar spraying, waterproof grouting and waterproof surface coating, waterproof coating, filling, ceiling coating, murals, painting, landscape spraying, sound-absorbing material spraying. The main features of the pump are very reliable, which is ideal for any civil and industrial construction.